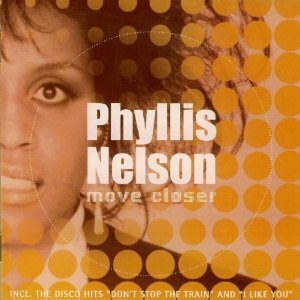 "Move Closer" was a one hit wonder for Phyllis Nelson, reaching #1 in the UK for one week during April 1985. It stayed in the singles charts for an impressive six months, but failed to chart in her home country of the U.S. The single was re-issued in 1994 following it's use in a tv advert for body spray. The song was also covered by Tom Jones in 1989, although it only managed #49 in the UK singles chart. Sadly, Phyllis Nelson died in Los Angeles at the age of 47 in 1998 from breast cancer. The song was actually quite different to many of Nelson's previous songs which were mainly dance and disco orientated. "Move Closer" was used in the 1985 British comedy film Supergrass which featured The Comic Strip. Janet Jackson - What Have You Done For Me Lately?